Plymouth restaurants offer high service and a higher quality of food for the price. Here are a few Metro Detroit restaurants in Plymouth who strive to make your dining experience a memorable one. The Courthouse Grille provides an elegant dining atmosphere and service for the perfect evening out. The Veal Boursin is my favorite dish to order, Medallions of veal with Boursin cheese, bathed in egg and seasoned panko, then flash fried, served with asparagus, wild mushrooms & rich herb demi-glaze. If you are looking for the most underrated patio, you’ll find it at The Courthouse Grille! Karl’s Cabin is an historic log cabin roadhouse located a few miles west of Downtown Plymouth. Family owned and operated for over 25 years, Karl’s Cabin always provides high quality food, service and customer satisfaction. Enjoy friendly service and a menu filled with the finest in new American cuisine. The Penn Grill and Bar in Downtown Plymouth is one of my favorite places to go on a Monday night for dinner. Grab a couple beers and one of their 12 oz NY Strips and you’ll be good to go. They also offer big juicy burgers, lofty sandwiches, salads, and fresh baked gourmet pizza. La Bistecca is near the top of the list as far as restaurants in Plymouth and Detroit are concerned. La Bistecca was the first restaurant in the country to prepare solely certified Piedmontese beef in their restaurant. The menu consists of various authentic and seasonal Italian recipes. At this award winning restaurant, La Bistecca Italian, you will receive an elegant evening of distinctive food and attentive service. Hermann’s Old Town Grill in Downtown Plymouth has twenty four televisions, a game room, entertainment on the weekends and a full menu. They have something for everyone as far as food and entertainment. They have a variety of specials throughout the week. 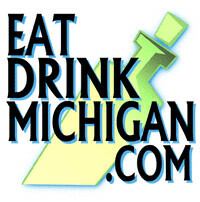 This entry was posted on Wednesday, August 7th, 2013 at 9:18 pm	and tagged with best detroit restaurants, detroit bars, detroit restaurant directory, detroit restaurants, dining in Detroit, dining in Michigan, dining in plymouth, michigan bars, michigan dining guide, Michigan eateries, Michigan restaurant directory, michigan restaurants, plymouth bars, plymouth pubs, plymouth restaurant directory, plymouth restaurants and posted in Uncategorized. You can follow any responses to this entry through the RSS 2.0 feed.